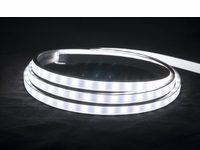 Many LED lighting products use "SMD" LEDs. You will often see a 4-digit number prefix, such as a "3528 SMD" version or a "5050 SMD" version. But what does that mean? "SMD" stands for Surface Mounted Device and is a new breed of LED lighting technology that offers much higher light output than previous LED generations, while still using only a fraction of the power used by traditional light sources. The 3528 SMD is a single-chip medium-output LED. 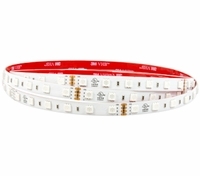 The 5050 SMD is a larger, three-chip high-output LED that has approximately 3X the brightness of the 3528. We also carry some products that utilize a new 5630 SMD chip. These newer LEDs are even more powerful than the 5050 SMD lights. Contact us today and let us assemble a custom quote for energy saving LED lighting fixtures for your project.